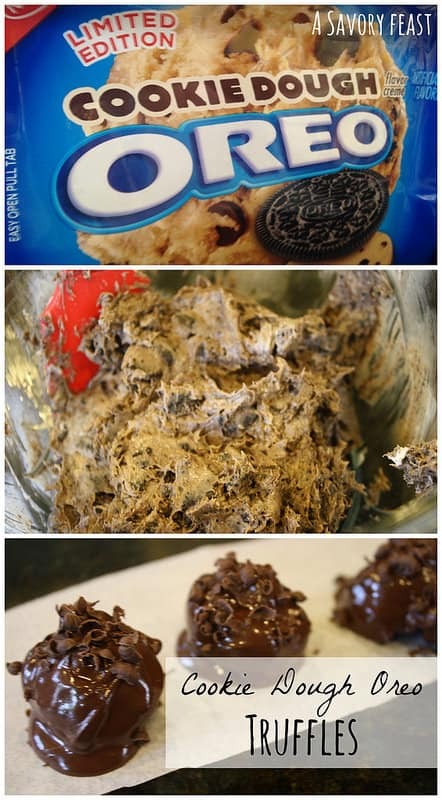 Oreo truffles can be made with just a few ingredients and don’t take a lot of time, but always turn out so good! For Christmas, I made this festive peppermint version. Crushing the oreos was the most time consuming part but its a lot of fun! 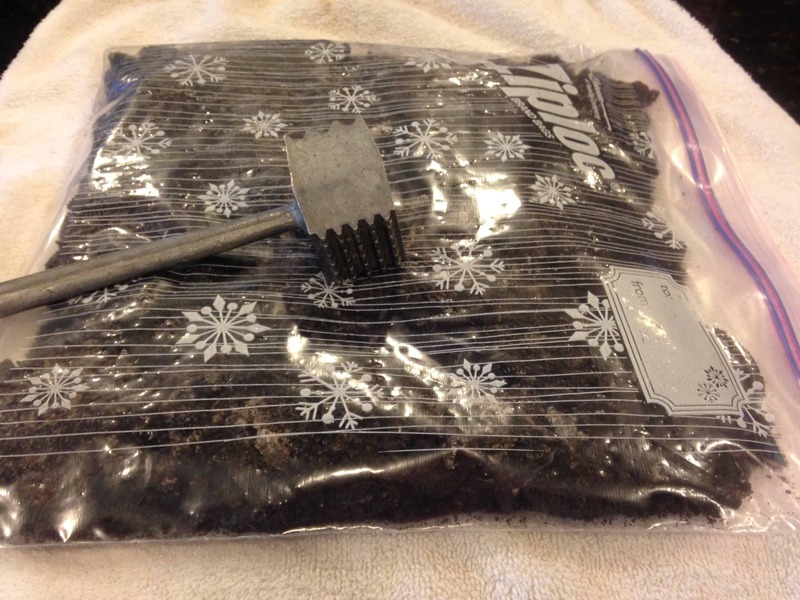 I put the oreos in a ziploc bag and first used this meat tenderizer to crush them. That wasn’t grinding them up finely enough so I then ran the bag over with a rolling pin until the oreos were completely crushed. I’m sure you could find crushed peppermint at the store during the holidays, but I had some peppermints in the house so I put them in a ziploc and crushed them to use for the topping. You could also use a candy cane or two. Mix cookie crumbs and cream cheese until well blended. Shape into 48 (1 inch) balls. Dip each ball into the melted chocolate. 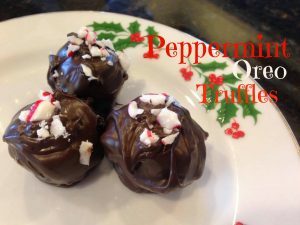 Top with peppermint (I dipped 4 or 5 at a time and then topped with peppermint before the chocolate started to harden). Refrigerate for 1 hour or until hardened.